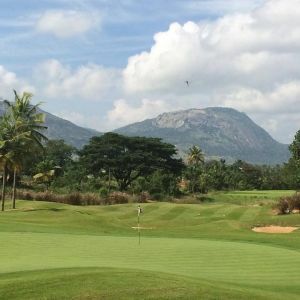 We offer a choice of over 1 golfcourses spread out thru India. Book green fees and tee times in REAL TIME and get your confirmations immediately. Imagine a secret place with 250 acres of golfing terrain, bordered by an expansive lake at the foothills of an ancient hill fortress, hidden from the outside world.